I should probably confess a few things before we get into this post. I’m not big on history and I’m terrible at reading plaques or information about the attraction I’m visiting, I go for the photo opportunities. 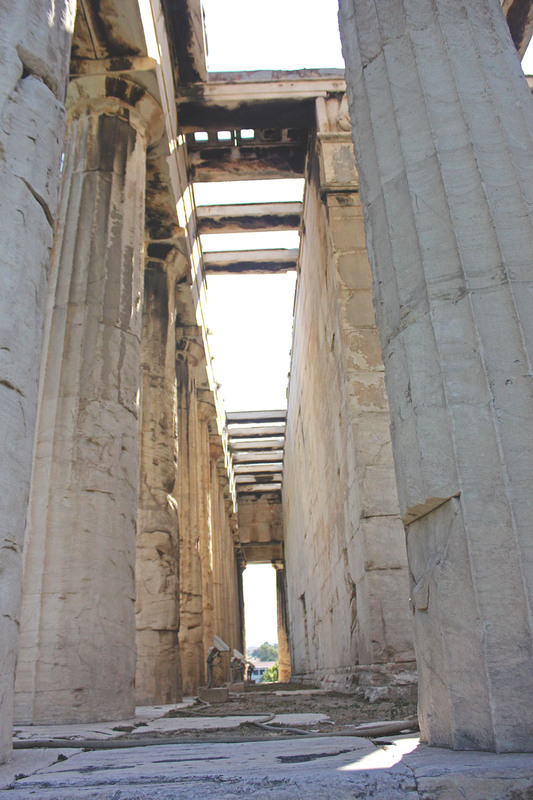 My visit to the ancient sites in Athens was also hindered by the fact I was rather hungover after too much partying at Athens Backpackers. Oh and I was travelling solo so I had no one to rely on to actually read the information and explain it to me. 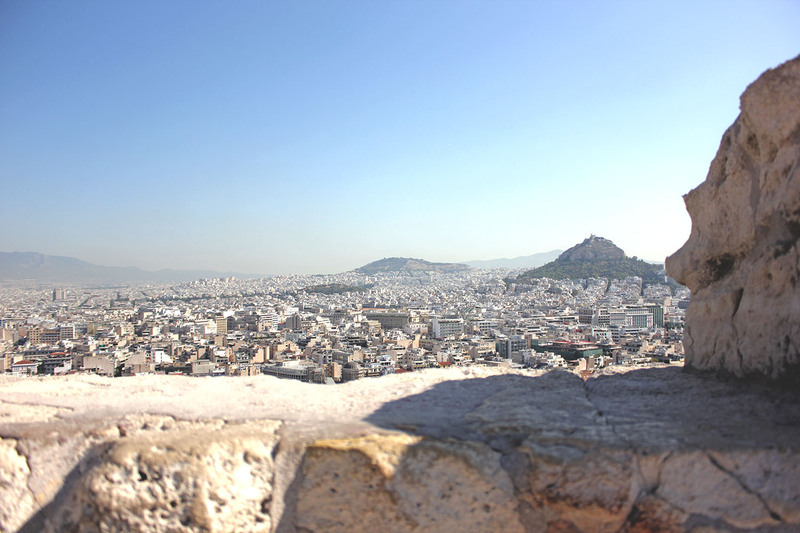 So instead I’m going to explain ancient Athens through my camera lens and the personal experience I had doing so. 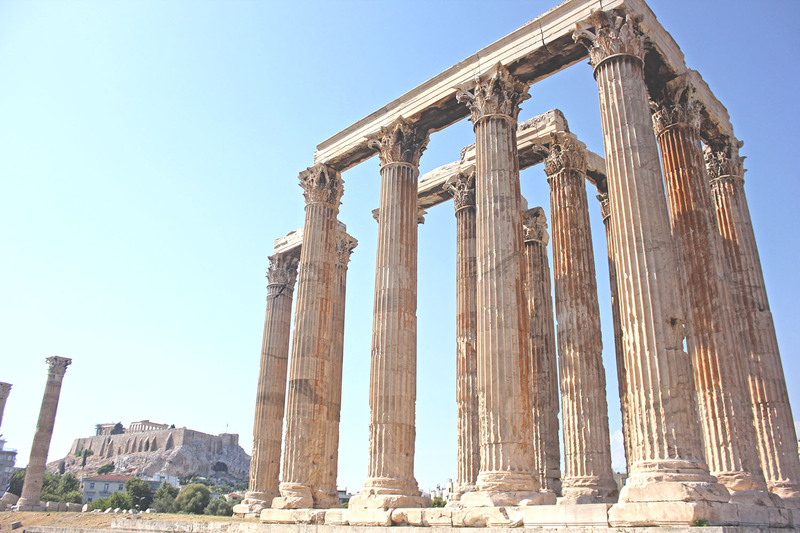 This post won’t teach you about the history of Athens I’m afraid, there are guide books for that. 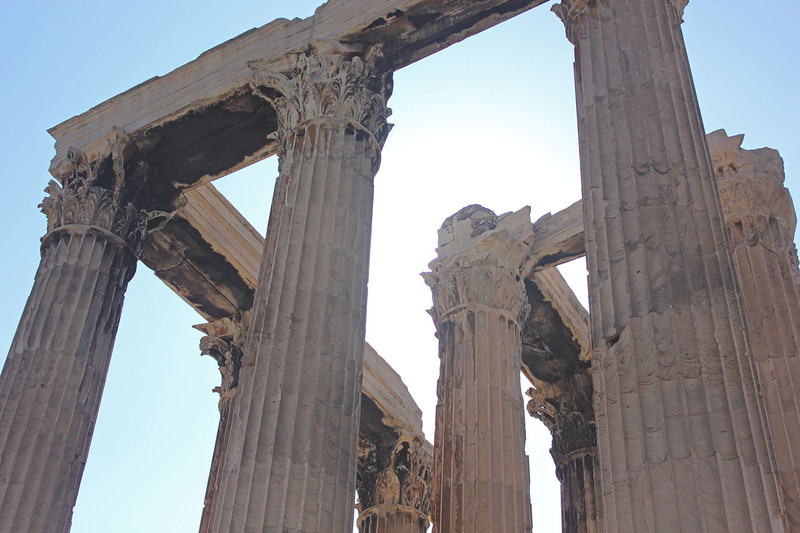 However, this post will explore the sites through my camera, my mind and explain just what it was like to visit these places. 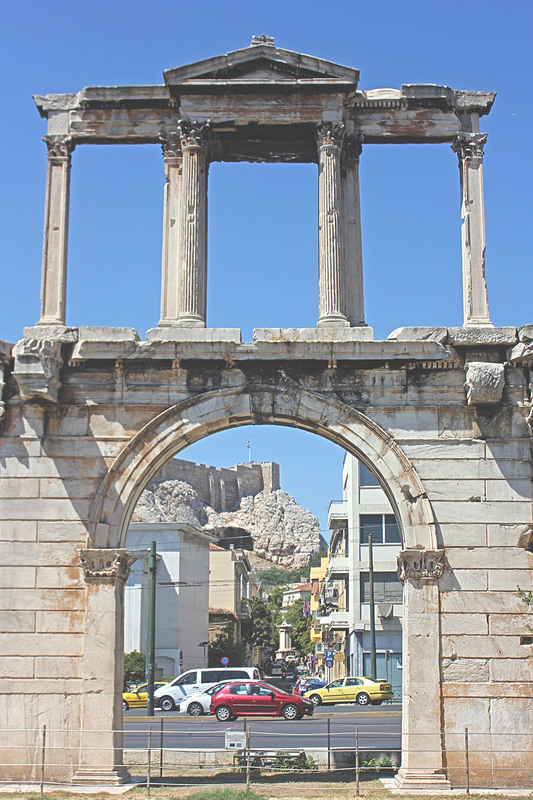 This towering arch was the first thing I saw when I arrived in Athens, it was late on a Monday night and very dark in the city but I could still make out the shapes of this enormous structure. I went back several times in the days following to photograph it, capturing different angles from close by but also admiring it from the surrounding streets. It is so tall that all of the photos I’ve captured seem to only have the bottom half in focus, I certainly needed a bigger aperture for this shot. This incidentally was the second site I saw on my arrival to Athens, it is tucked behind the Arch of Hadrian and seemed to loom even higher and dark in the late evening light. This site was a place I wasn’t sure if I needed to go inside, you could see the whole structure without buying a ticket. 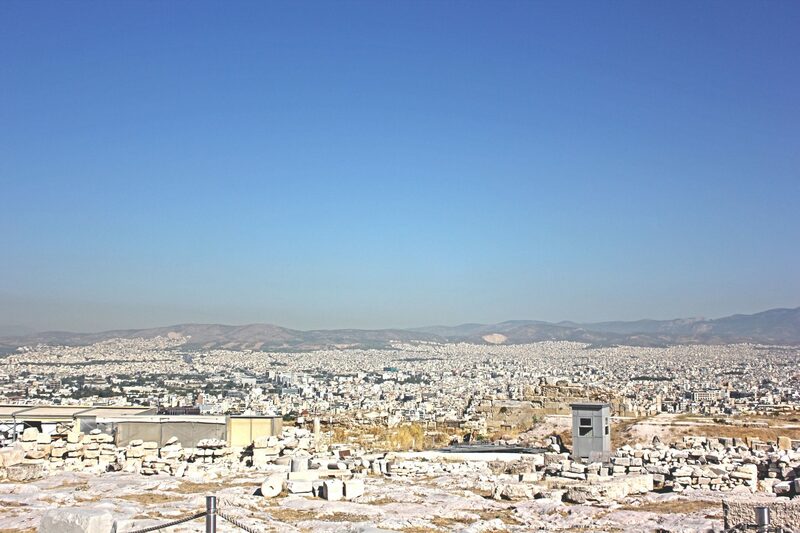 After finding out it was free to enter for students I figured it could do no harm and I was presented with one of my favourite views in Athens. 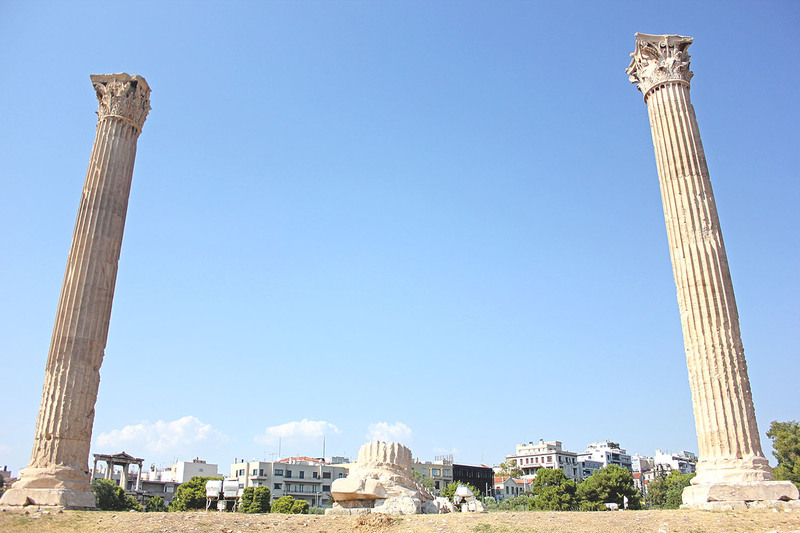 The third photo below where the Temple of Olympic Zeus is in the foreground and the Acropolis is the background. 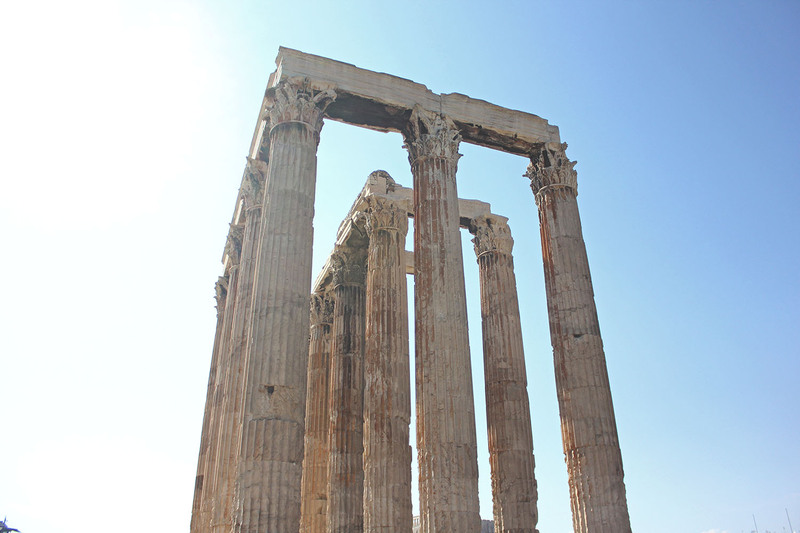 The straight lines of the pillars and the detailing and colour of them made the Temple of Olympic Zeus a lot of fun to shoot and edit. 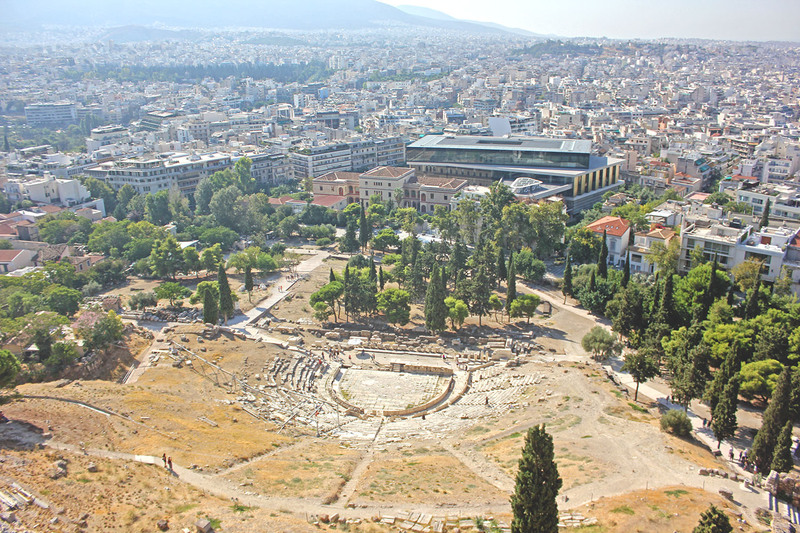 The Ancient Agora site was much bigger than I had expected and spread over this area were many different buildings and ruins. My fascination was again with the building made from tall pillars with that familiar detailing and colour of ageing. 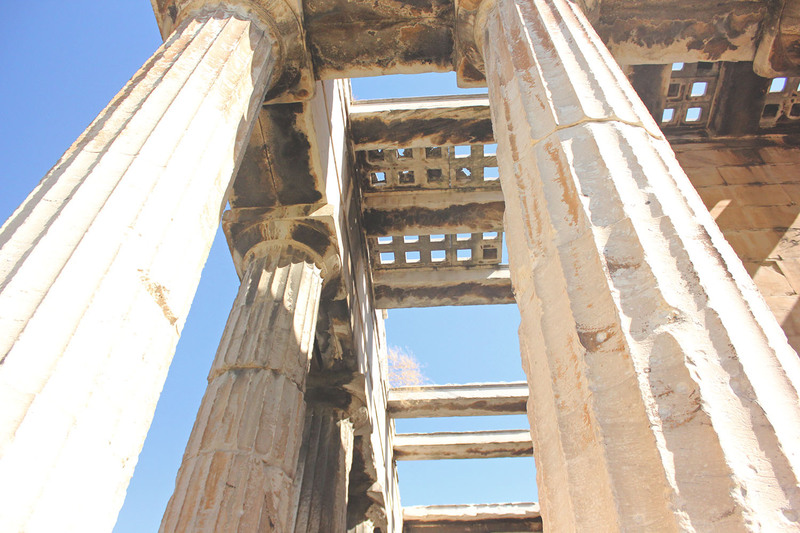 The structure of this ruin was very intricate with most of the detailing above your head. It reminded me to always look up as well as forwards. My favourite shot from this structure is probably the one I took on my iPhone for Instagram. Just the way all of the lines are parallel and the silhouette has formed in the background. 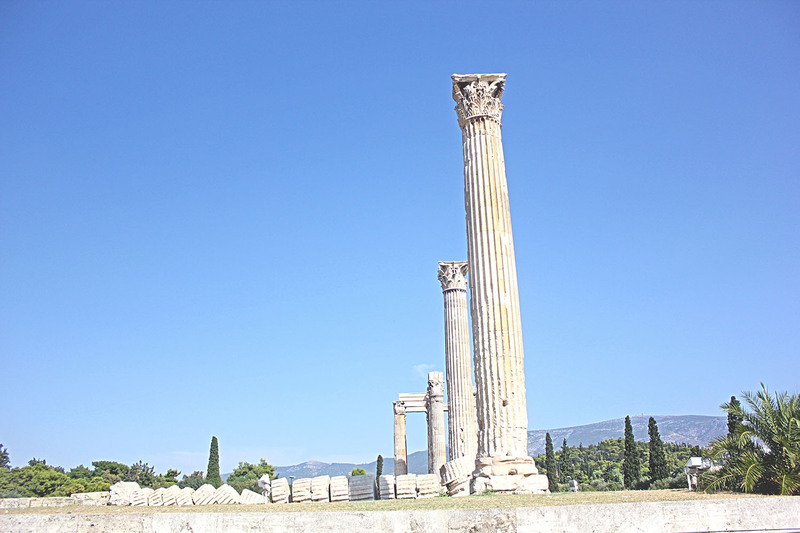 This site is the most famous of them all and a must see for any history or non history person. I didn’t brush up from the guide book and I didn’t read the plaques but still enjoyed it in my own way. I would highly recommend getting here at opening time because my does it get busy quickly, not too mention the summer heat although that may have had more to do with my hangover… The ground is un-level so I’d also recommend wearing proper shoes. Once I’d made my way around the bottom of this site and up countless steps to this flat mountain top, ok, I know it isn’t a mountain but it just had a certain feel to it. Up here you were miles above Athens and could see even further into the distance. The flat ground covered in white buildings seemed to go on forever, whichever direction I looked I couldn’t stop staring. 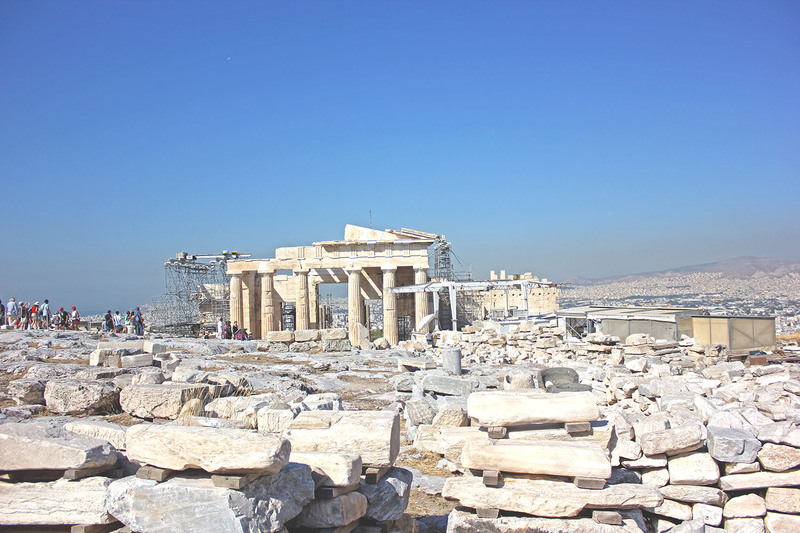 Although the views impressed me the most I cannot forget about the Acropolis itself with ruins spread across the top of this land. There were those nice tall pillars again, this ones you could obviously see the new marble they had added to keep the structure safe. Some parts were even being worked on that day with scaffolding a common site. 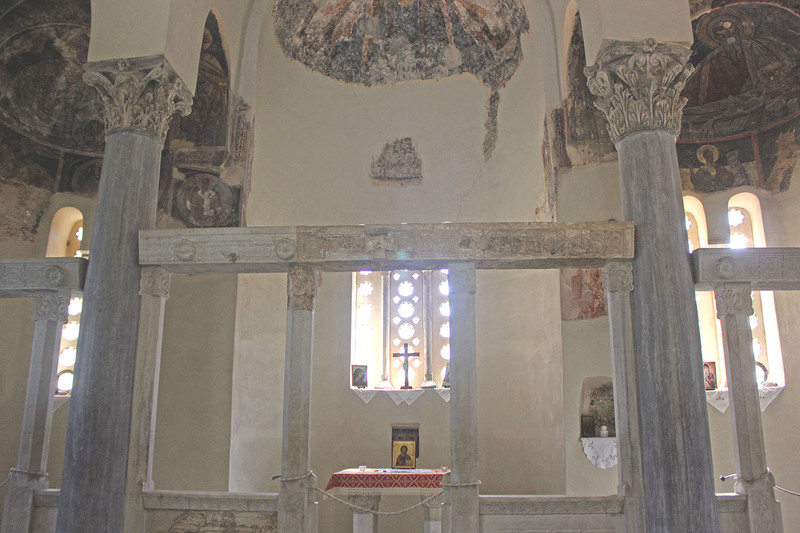 Across the whole site were bits and pieces of broken marble with the finest of detail still visible. 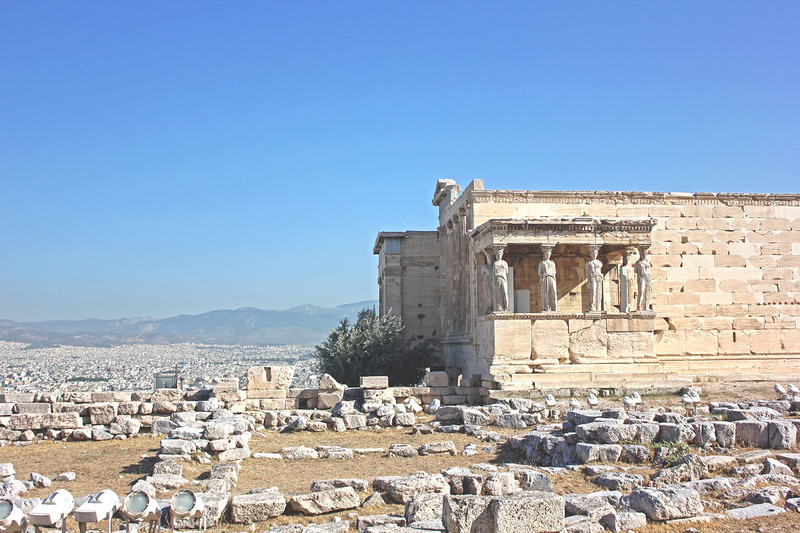 There were other structures still standing including the Erechtheion building which is home to The Porch of the Caryatids (female figures). 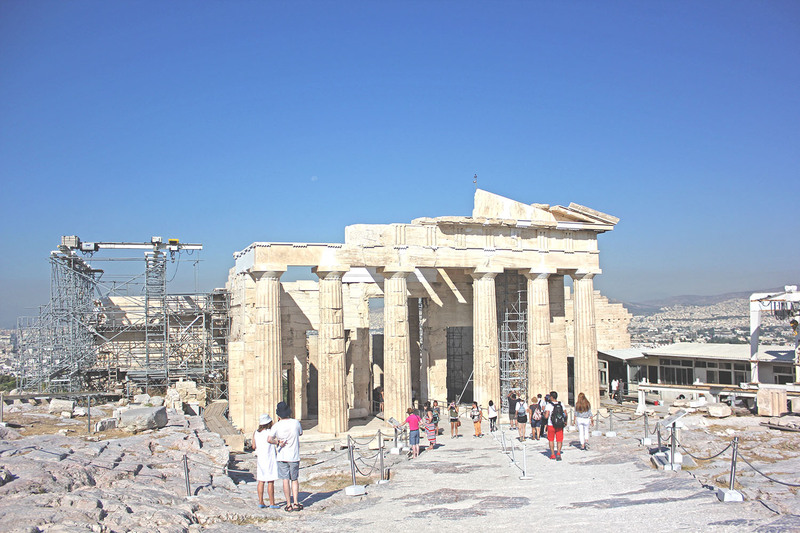 Against the bright blue summer sky the Acropolis seemed to glow and that is what captured me about this historic site. 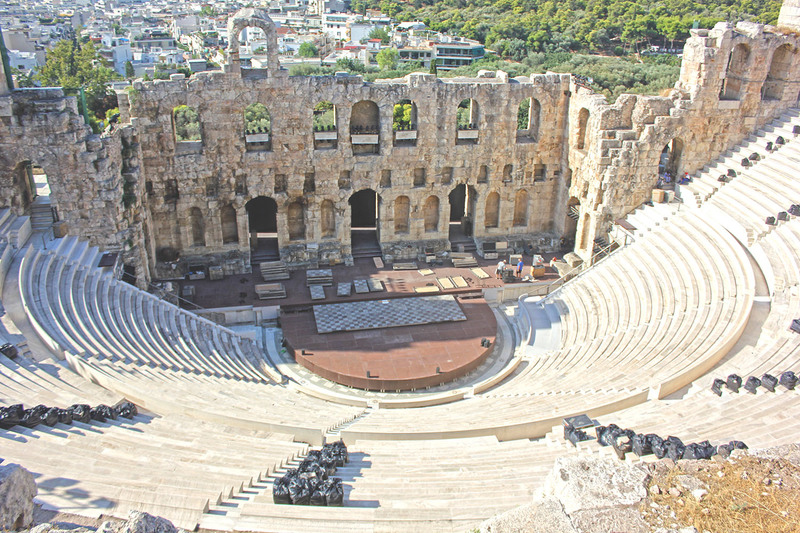 Theatre of Dionysus was the first thing I was after entering the Acropolis round the corner from Athens Backpackers. 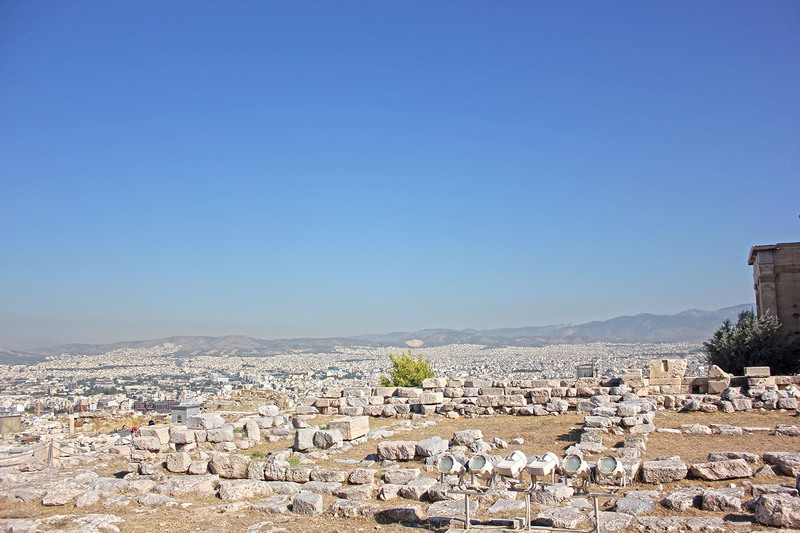 It lays in ruins now and acts as one of many gateways into the Acropolis itself. The ground is uneven around here but I enjoyed being able to explore these ruins instead of having to look from a far. What captured me the most was how impressive this ruined theatre still looked from above, just imagine what it would have been like when it was still fully built. 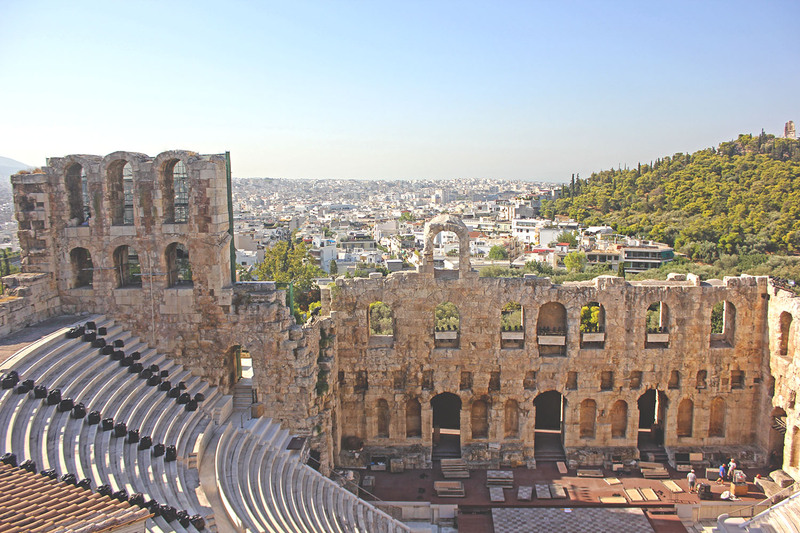 I may not have enjoyed Athens in the typical way of most tourists but I enjoyed Athens in my way; by capturing photos of the city and having an experience to tell with them. 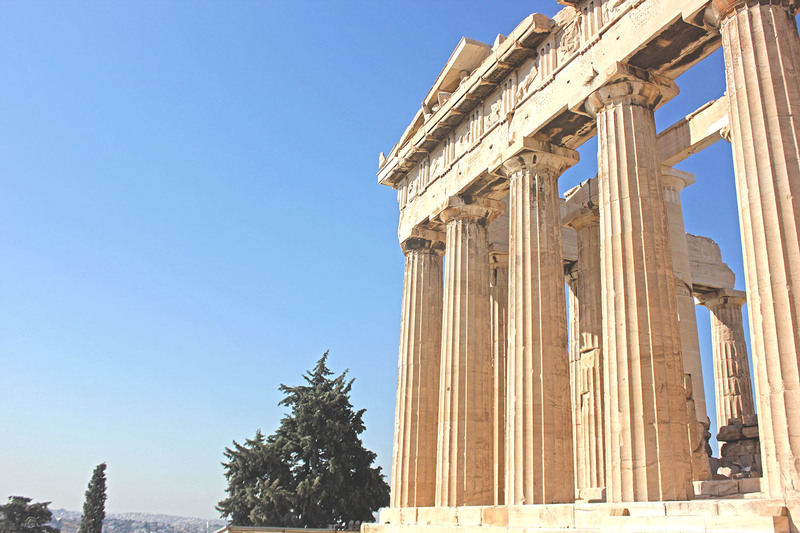 Need more inspiration for two days in Athens? Then check out this post. 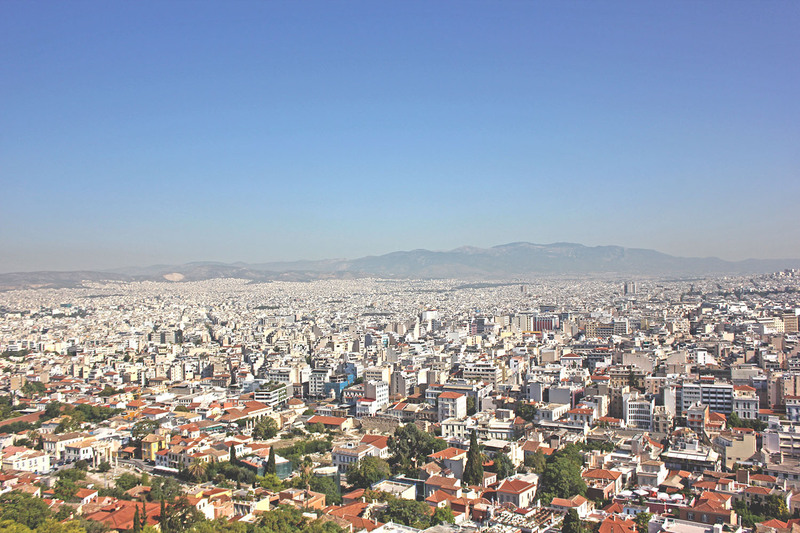 Have you been to Athens? 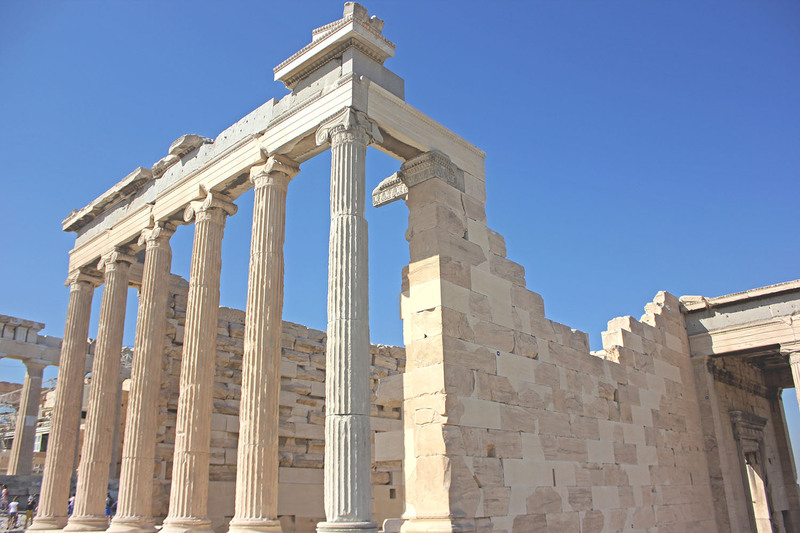 What did you think of these ancient sites? Gorgeous photos Jodie! Those ruins look so amazing! I’m such a sucker for an ancient ruin, it’s rather pleasing to think that I’ve still got awesome places like this still on my to-do list! 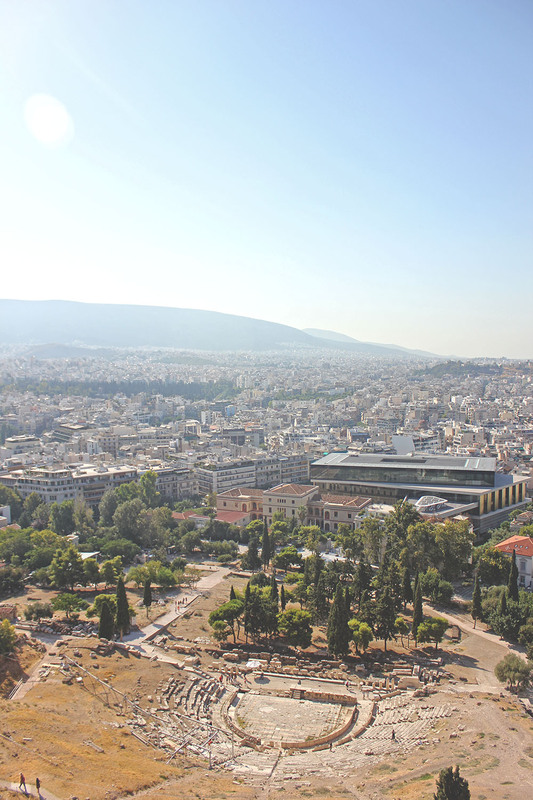 I like the way you’ve enjoyed Athens, sometimes I just love to wander and photograph rather than learn a whole heap of stuff I’ll never remember and have to check again later! 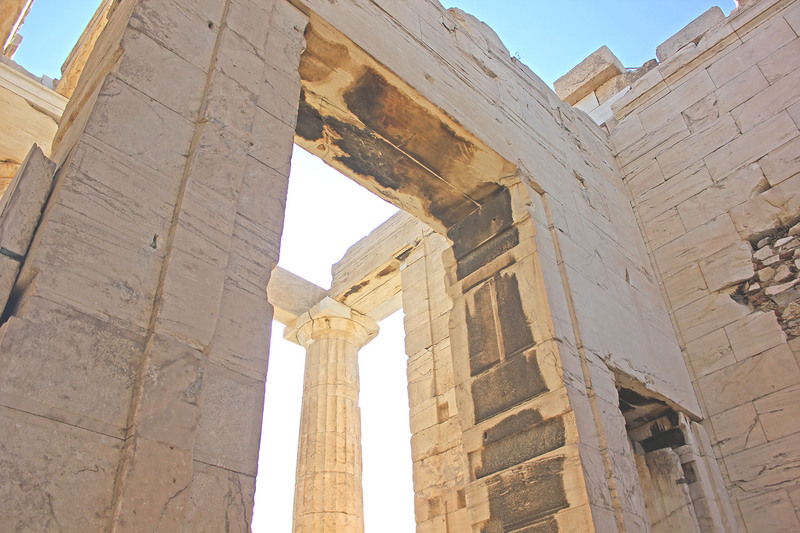 If you love ruins then Athens will be a dream… well a lot of Greece actually! I think sometimes it is nice to get lost in photographing a place.